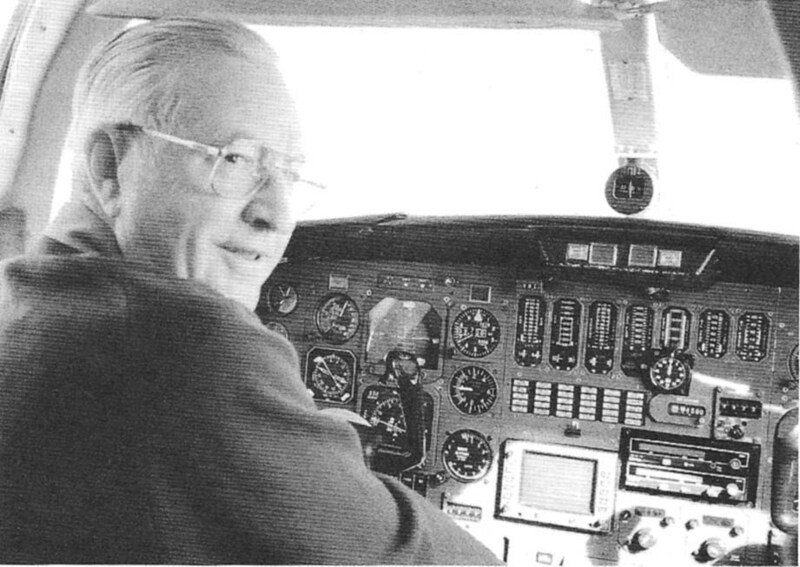 Don Hamilton was a true aviator whose passion for flying resulted in an illustrious career in aviation spanning nearly 70 years. Don's experience included such diverse aviation pursuits as air force training, barn storming, cloud seeding, commercial cargo and passenger transport, crop dusting and fire bombing. He flew thousands of hours in dozens of different aircraft ranging from his first flight at the controls of a Tiger Moth to the left seat of a Cessna Citation jet. Don was born in Havelock, Ontario in 1924 but established his real roots growing up during the depression in Tilney, Saskatchewan, a small town near Moose Jaw. Although his father was a grain buyer for the Saskatchewan Wheat Pool and his mother ran the post office and general store, Don had no interest in following in their footsteps. Right from the beginning, his interest was always airplanes. Don fell in love with flying in 1943 when he joined the RCAF at the age of 17. After accelerated training as a navigator, he earned his officer’s commission in 1944. A posting overseas was postponed by the end of the war in Europe in the spring of 1945. He never made that journey, but an adventurous career in aviation had begun. After the war Don enrolled in the Engineering Faculty of the University of Saskatchewan, thinking he would pursue a career in Engineering. After a few months, however, Don realized his first love was flying and decided he would not be happy unless he was in the air. Don left the engineering program and, using the money saved for University, enrolled in flying lessons to earn his pilot’s license. 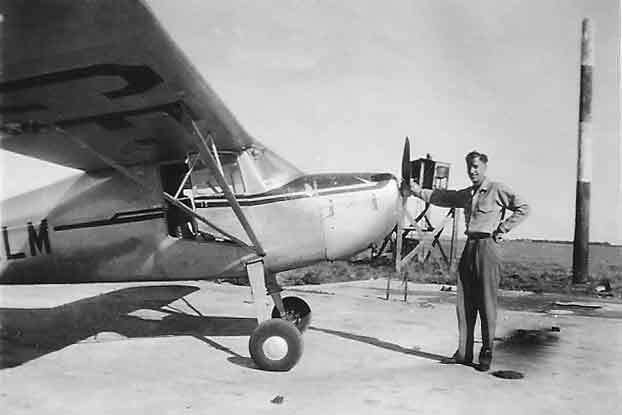 With a brand new pilot’s license and total flying experience of 16 hours on a Tiger Moth at the Moose Jaw Flying Club, Don boarded a train to the Cessna factory in Wichita, Kansas to buy his first airplane. He returned with a Cessna 120 after paying the then large sum of $2,945. Don's first business venture with the new aircraft was to take passengers for rides at rural sports days. This led to work crop dusting, cloud seeding and flying passengers to destinations in and around the Moose Jaw, Saskatchewan area. In 1948 Don heard of an opportunity transporting fish from lakes to nearby processing plants in Northern Alberta. He ended up in Cold Lake where he quickly earned the reputation of being a pilot willing to help in any situation. To this end Don was involved in numerous search and rescue missions in the North and flying polio patients from Cold Lake to the hospital in Edmonton. 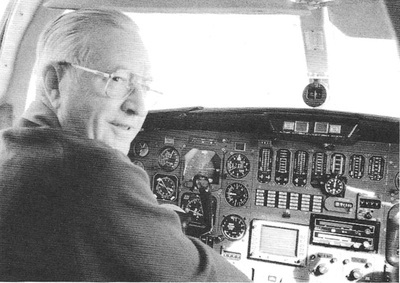 In 1949 Don saw the opportunity for flying passengers between Cold Lake and Edmonton on a routine basis. Using a Cessna 195 and a 12 passenger Anson purchased from Canadian Pacific Airlines Don started the “Cold Lake Air Service”. In 1950 Don was approached by the Department of Transport to fly personnel around Alberta to locate a site for a new military base. 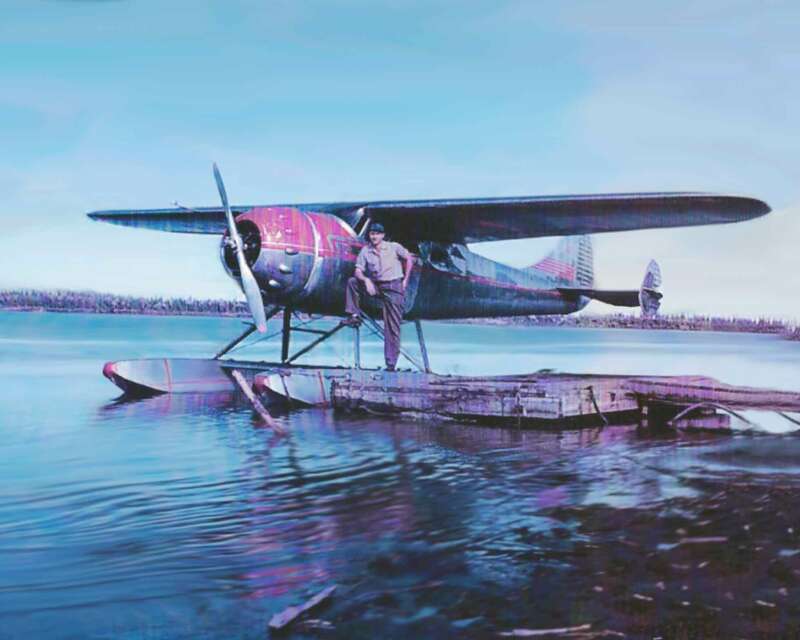 Don suggested the Cold Lake area as being a suitable choice and based on Don’s recommendation the Cold Lake air base was built. The airline turned out to be a great success flying passengers working on the construction of the base between Edmonton. It operated until 1954 when Don headed further north to help with the construction of the Distant Early Warning Radar Line (“DEW Line”) in the Arctic and later flew as an executive pilot for Chevron Standard flying Anson, Lockheed Loadstar and Beaver aircraft. 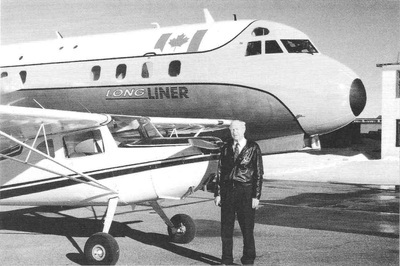 In 1958 Don settled in Edmonton and started Hamilton Aviation Ltd. at the Edmonton Municipal Airport to sell Helio Courier and Dornier aircraft. Don also rekindled his charter and cargo transport business using a Fairchild 82. In 1970 Don invested in Air Spray (1967) Ltd.. At the time the company owned one Douglas B26 and had a leased Cessna 310. Over the years the business grew rapidly. Don not only developed one of the largest fleets of Airtankers in the world, but he played an important role in advancing the industry. The technology and expertise he developed in association with his Airtankers made Air Spray a leader in air tanker operation and design. Above all, however, Air Spray is a success as a result of Don’s commitment to providing outstanding service to his customers while leading the aviation industry to develop more efficient methods of forest fire control. With the investment in Air Spray, Don further established his roots at the Edmonton Municipal Airport. His office occupied several of the old RCAF hangars over the years. However he eventually replaced Hangar 8 with a new General Aviation Centre and the Esso Avitat Hangar providing the City of Edmonton with a modern corporate aircraft terminal and cargo facility as well as office space for not only Air Spray, but several other businesses at the airport. As well as Don's devotion to his business and family, Don gave countless hours of service to his community and various aviation endeavours. In particular, Don always had an open door policy when it came to encouraging young people to fly. He welcomed the opportunity to offer advice about an aviation career including how to get started and who to talk to gain experience in the business. He was always excited to talk to young pilots about opportunities in aviation. Don Hamilton enjoyed a fascinating and adventurous aviation career and aviation in Canada has benefited from Don’s efforts, knowledge, ideas and dreams. 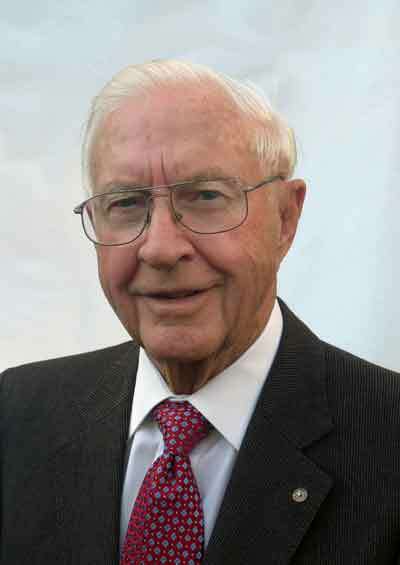 In recognition of this, Don was inducted into the Canadian Aviation Hall of Fame in May, 2011, just two months prior to his passing in July, 2011 at age 86.